Portrait mode — the camera technique made possible by the dual lenses on the iPhone 7 Plus, 8 Plus, and X — is a big deal. By automatically putting a foreground subject or object in focus and blurring the background, portrait mode makes anyone look like an advanced photographer. There’s just one problem with portrait mode: you need the right phone to get the effect. Now here’s some good news for anyone who doesn’t have one of the the latest iPhones! Instagram is democratising portrait mode with a new camera mode within Stories called “Focus”. Instagram Focus aims to solve the FOMO experienced by those who have suffered without iPhone portrait mode. We at b. the communications agency just love this new feature and what it can do for Instagram Stories! Rumours of the Instagram Focus function started popping up in March when some users noticed tests in the app. Instagram confirmed the change and has now launched the feature for all users. Who Can Use Instagram Focus? In addition to those with an iPhone 7 Plus, 8 Plus, and X, the new mode will roll out to anyone with an iPhone 6S, 6S Plus, 7, and 8 as well as select Android users. 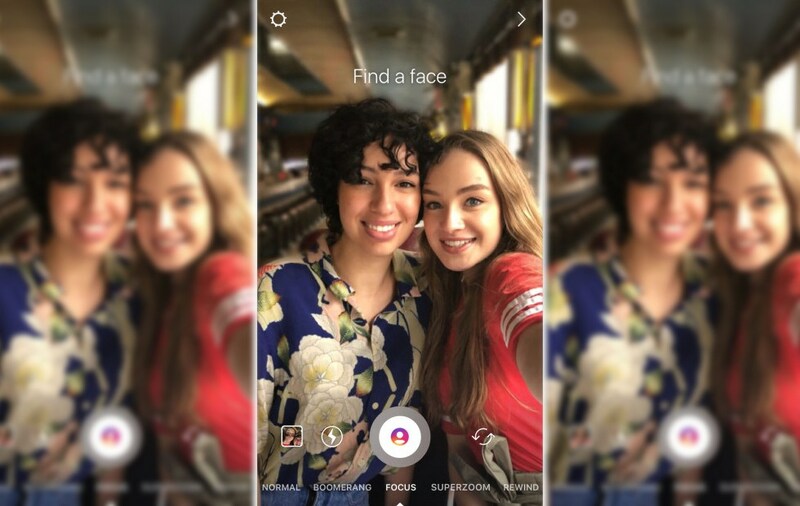 You’ll be able to use Focus, which is located in the Stories camera next to “Superzoom”, when taking a selfie or using the back-facing camera for both photos and videos, the latter of which is not currently available with the iPhone cameras alone. Simply position your subject in the shot and let the software go to work, putting them in focus and blurring the background. Want to find out more about the Instagram Focus feature and the impact it’s having on the popular social platform? Read more on Refinery29uk.